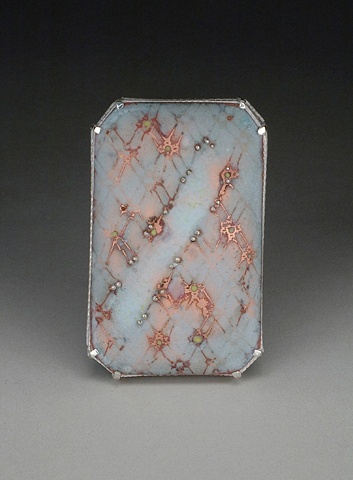 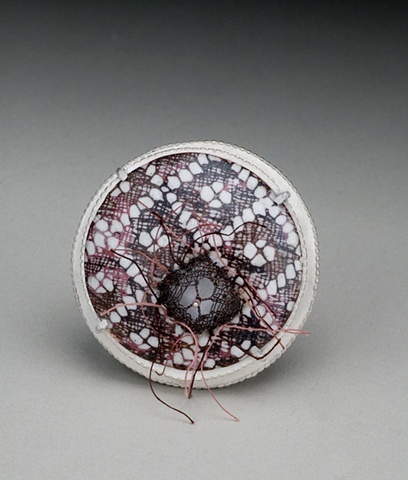 Reminiscent of pockets or small pillows, this body of work is influenced by the 18th and 19th “huswifs” which were patch-worked oblong pockets or pouches worn hidden under a woman's dress and usually stitched from scraps of fabric, lace, or calico. 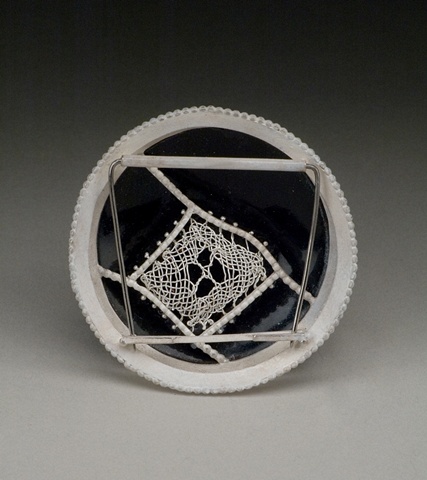 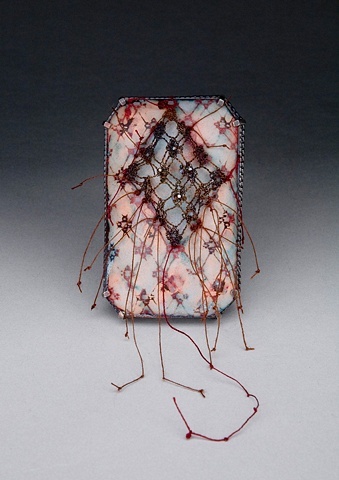 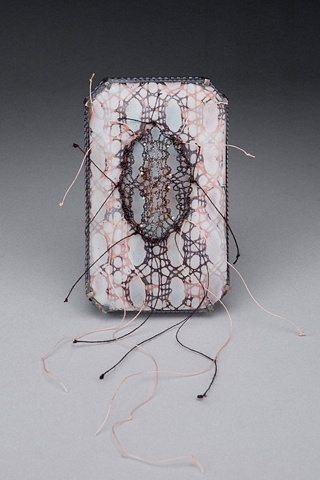 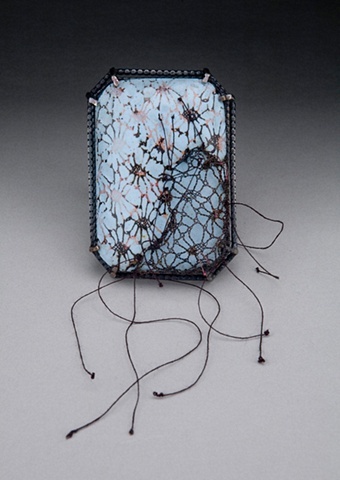 I have purposely created swollen, often suggestive, and voluminous hand woven forms of black lace and frays of knotted threads pulsating away from their surfaces of champlevé enamel. 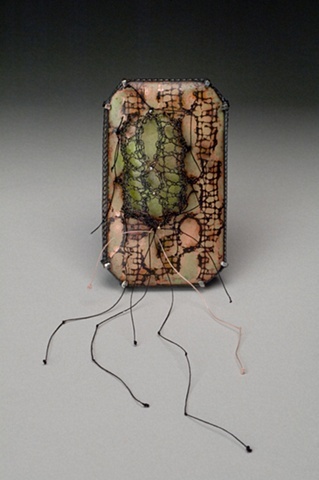 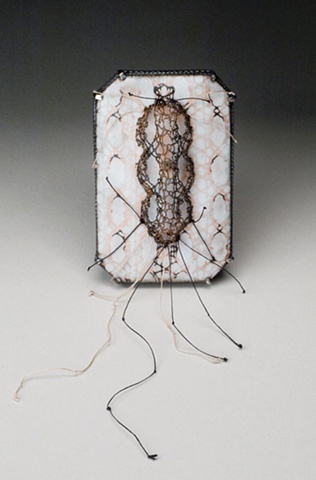 These contrasted fabric and skin-like surfaces are meant to convey a sense of fragility, tension, longing and mending.